Home»Android » OnePlus News Daily Dose #49: OnePlus 7 McLaren Edition, gradient back, smart display and more! April 10 was a significant milestone in the human history, as the scientists were able to capture a picture of a black hole for the first time! The regular internet community, consisting Physics nerd as well as your average Joe/Jane, had a number of different reactions after this breakthrough achievement was officially announced. The Chinese OnePlus social media team couldn’t help themselves from the craze, so they decided to share something fascinating via Shina Weibo. Not only the image is very much similar to the illustration of the black hole, but also it carries a logo of McLaren with a clear notion of a curved/edge screen. 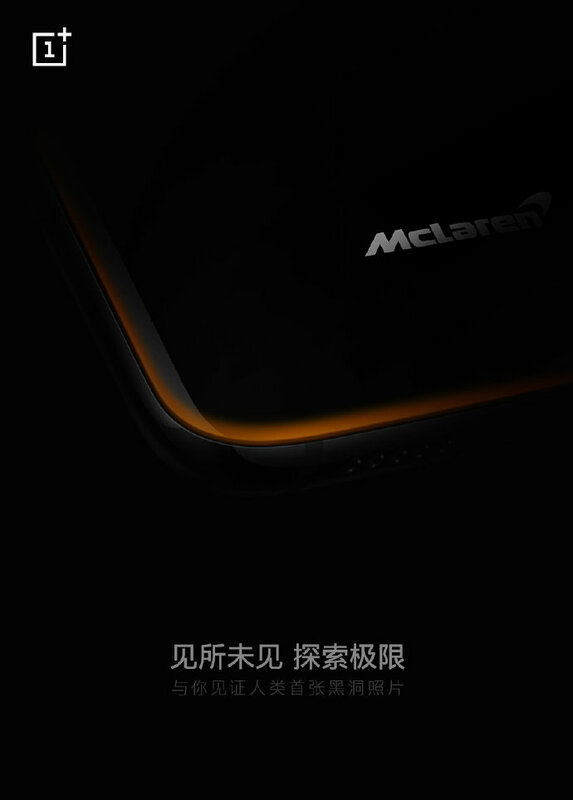 Are we looking at the first teaser of the upcoming OnePlus 7 McLaren Edition? 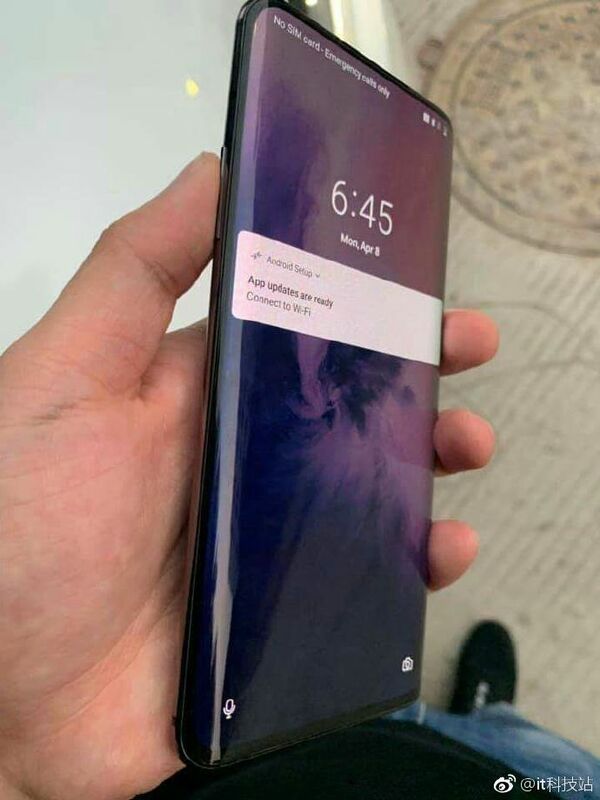 In yesterday’s daily dose of OnePlus news, we mostly talked about the hands-on leak about the OnePlus 7 ‘Pro’ edition and a lot more other details. How should we treat the post? A mere coincidence? Or another cryptic hint? Comment below. OnePlus CEO Pete Lau perhaps dropped another subtle hint about the camera performance of the upcoming OnePlus phone. He posted a photo in his Weibo profile with the typical #shotononeplus hashtag. Most of the EXIF tags were stripped from the original image, which further indicated the amount of secrecy Pete wanted to maintain. At this moment, we can hardly predict anything about the camera model, but the shot was really superb! In another post, Pete has expressed his view on the recent trend of gradient color backs. According to him, the market data has shown no positive correlation between gradient finish and sales volume. He has further added that the inclusion of glass based designs makes it possible to use eye candy gradients. Although regular buyers and media are initially attracted to them, they do not yield much value in long term. 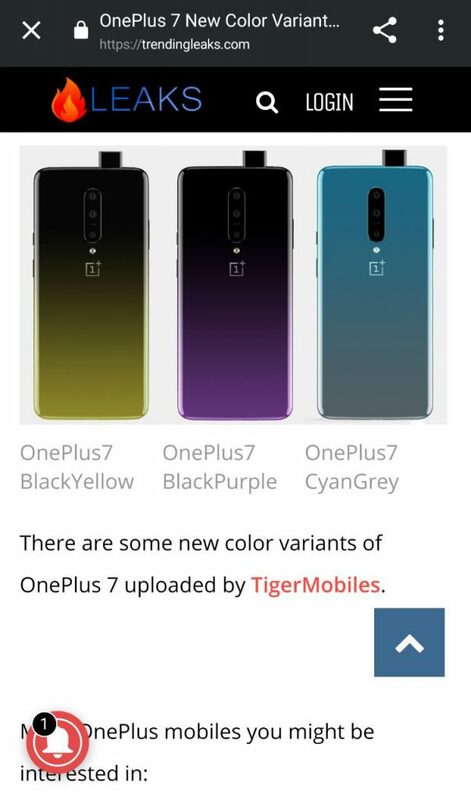 Readers may recall that there were some dubious claims in past about the gradient back models of the upcoming OnePlus 7. As a matter of fact, we disclosed that fake nature of the renders. Looks like Pete doesn’t like to opt for the gradient design as well. 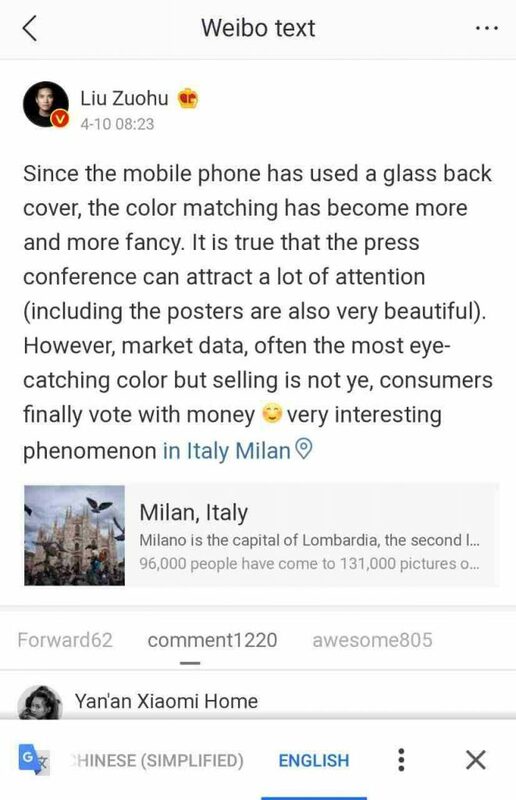 Eagle-eyed readers should notice that the screenshot of the Weibo post shows Pete’s location in Milan, Italy. Well, he is actually there to meet the students of European Institute of Design (IED). Back in March, OnePlus won the prestigious International Forum (iF) Design Award 2019 in four categories. Going up against 6,400  submissions  from over  50  different  countries, the OnePlus 6, Bullets Earphones and Bullets Wireless stood out from the crowd to take home awards in the Product and Packaging categories. No wonder they are after some creative designers to further push their design statements. Anyway, in the interview with Repubblica.it, Pete has touched various domains – from foldable screens to OnePlus TV. Foldable displays offer, or rather offer, interesting possibilities, although probably not so much in the field of telephones. For smartphones now the curvature of the screen that folds is too wide and therefore the thickness is excessive. When instead we get to be able to fold it like a sheet of paper without damaging it or marking it, then the technology will mature. We’ll get there, but not immediately. In a previous interview with CNET at MWC Barcelona, Pete told that the company did not have any immediate plan to get on the folding screen bandwagon. Well, the stance remained unchanged. When asking about the marketing strategy and the TV business, Pete has mentioned that he likes to call them “smart display” instead of regular TVs. I imagine a screen that is always ready and anticipates various needs. Artificial intelligence from this point of view can do amazing things and is maturing very quickly. He can learn from habits and provide what is needed when needed. We’re working on it, it’s too early to talk about dates. For Pete, controlled expansion is a must. They faced a number of issues after the initial (unexpected) success in 201 by mismanagement. Without repeating the same mistake, OnePlus is dedicating their workforce to the R&D related to 5G. The 5G in perspective, from 2025, will allow us to offer a sort of super virtual assistant that will assist us in ways that are difficult to imagine today. Interested readers can take a look at the whole interview by clicking here. In this 5 years long journey, OnePlus is always supported by the aftermarket development communities. They started some unexpected controversies by abruptly stopping their developer seeding program, but the company were able to resolve the matter quickly. Now the developers of popular third party launcher app, Lawnchair (excuse the pun!) have reportedly received two OnePlus 6T units for testing and development. The Lawnchair team recently pushed the source codes of the next major version (v2) to public. The Google Play Store version is still stuck at v1, so if you want test the latest goodies, grab the APK from APKMirror. Let us know your experiences by commenting below. As I just referred to OnePlus 6T, I should also mention the recent progress of reverse engineering the in-display optical fingerprint scanner of the phone for custom ROMs. In OnePlus daily dose #44, we highlighted that the fingerprint reader was partially working under certain custom ROMs. The required codebase has already been pushed to OmniROM gerrit. Once it will be verified and merged, other custom ROMs can finally utilize the fingerprint scanner properly. 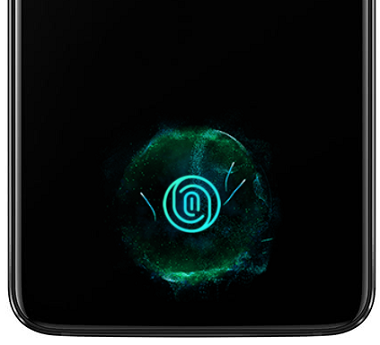 FYI, the latest unofficial build of OmniROM for OnePlus 6T has been released with partially support for the fingerprint scanner. Let’s wrap it here. See you guys tomorrow. Ciao!